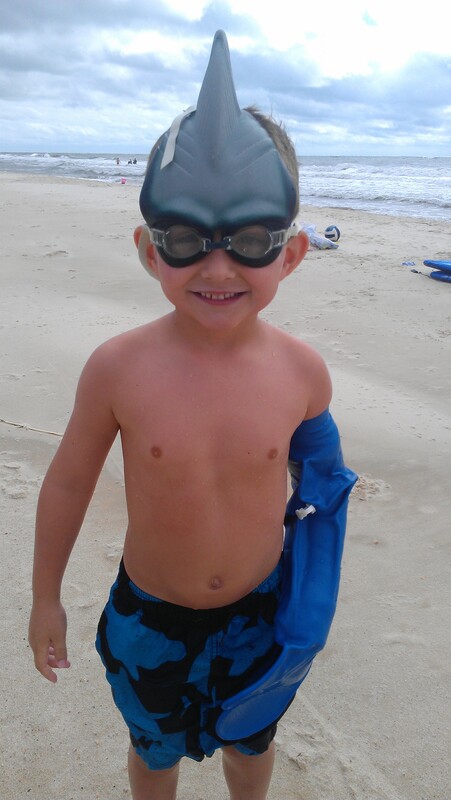 Swim at the Beach with a Broken Arm! My 5 yr old son broke his arm 1 week before our beach trip. I found your product online and it saved his vacation from total ruin. I would recommend your cast cover to everyone, it was a lifesaver….. It isn’t the most attractive device, but it definitely works. We jokingly named it his fish arm! Thanks again for such a great product!